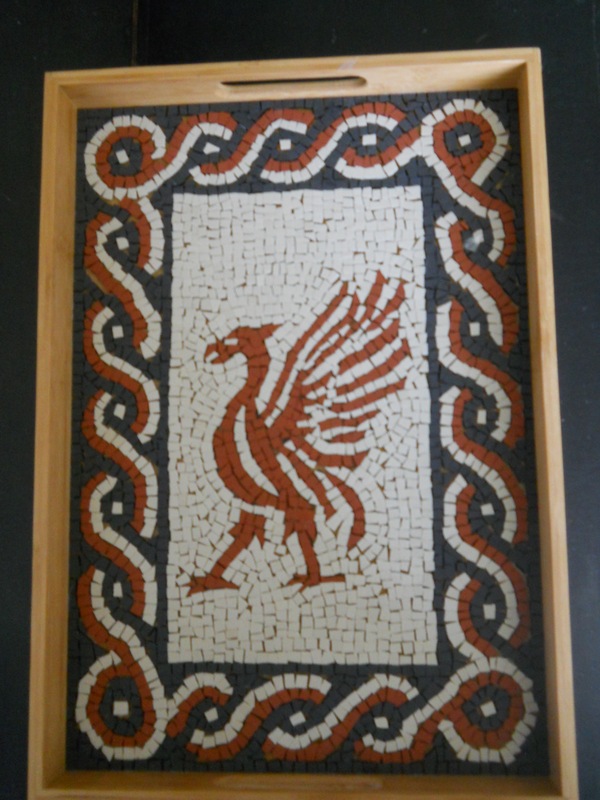 Another month has gone by and so I have another mosaic, but not for me this time but a gift for someone else. 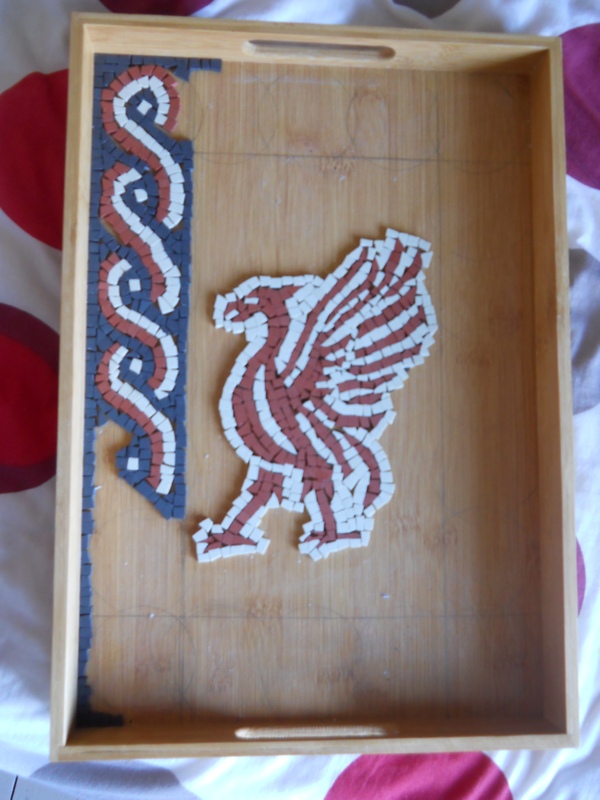 A couple of months ago it was suggested to me that I should make a mosaic tray using the Liverpool emblem. 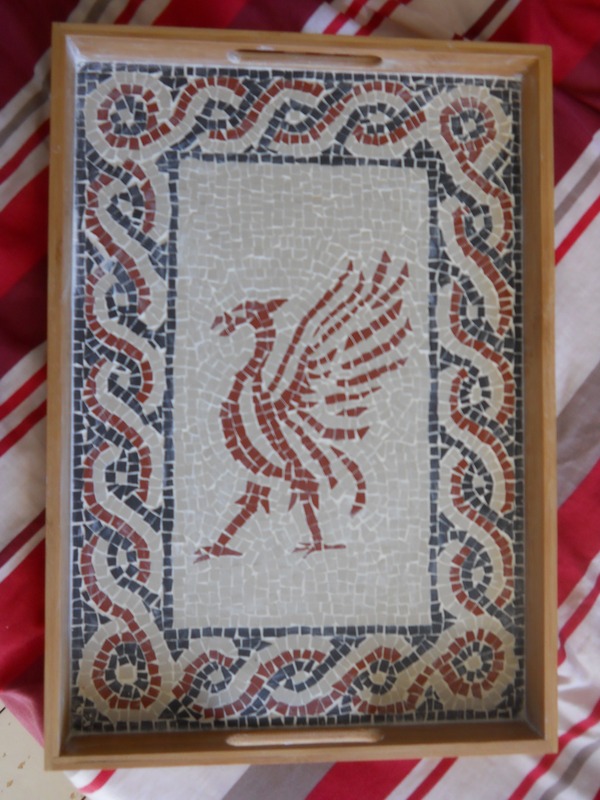 Whilst initially swearing never to make such a monster (I am from a family supporting a very successful local rival to Liverpool…), it did occur to me that the Liverpool badge may actually work very well in mosaic as its a single colour silhouette. Indeed, it occurred to me that many other team logo’s could make similarly effective mosaic designs so I hope to revisit such an idea in the future, but next time of a team of my choosing. To make the tray I used my usual technique of mapping the design onto the tray. Drawing the borders was an easy task, I used my standard measurements to draw the rectangular border and fill it with the circles that would later constitute the guilloche, I don’t bother drawing it to closely anymore as once you have the basic circles, it is easy enough to work out the finer detail free hand. 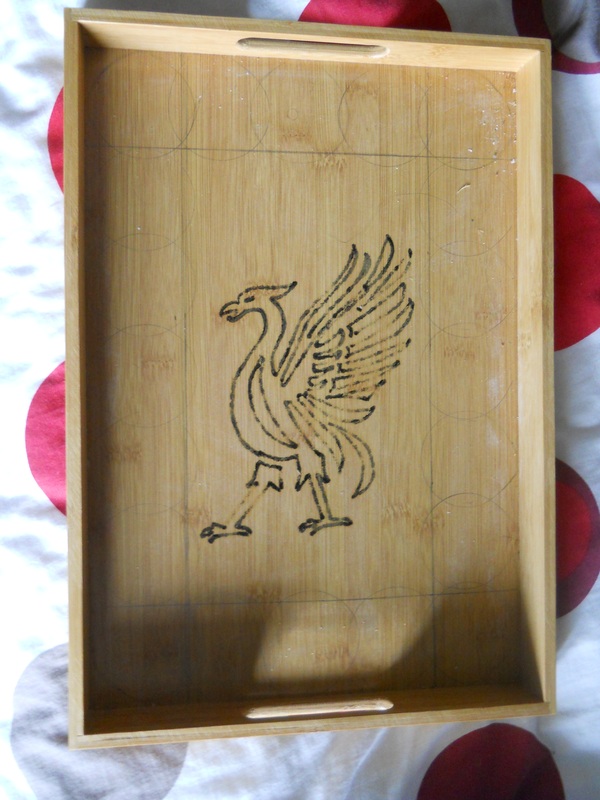 To transfer the design onto the tray I just positioned the paper on the tray and outlined it in permanent marker, the ink then seeped through onto the tray, thus transferring the design so I had something to follow with the tesserae. 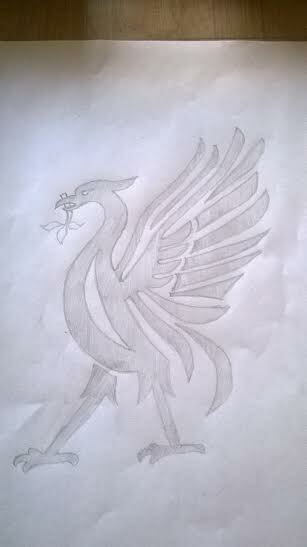 Also it means I do have an A4 design of the bird kept on paper so I can easily replicate this design if I wanted to make a matching pair at a later date.